Hello! This guide will show you how to create your first basic map with the Editor, the tool to create custom maps for Titan Quest. 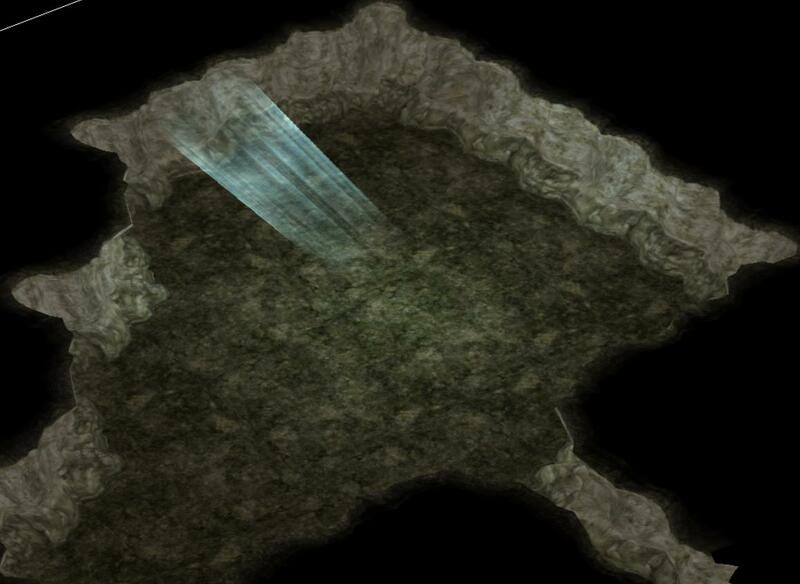 Part 2 will show how to create a basic cave environment. I may assume you have some basic knowledge and overlook some manipulations. Feel free to tell me if anything is unclear. 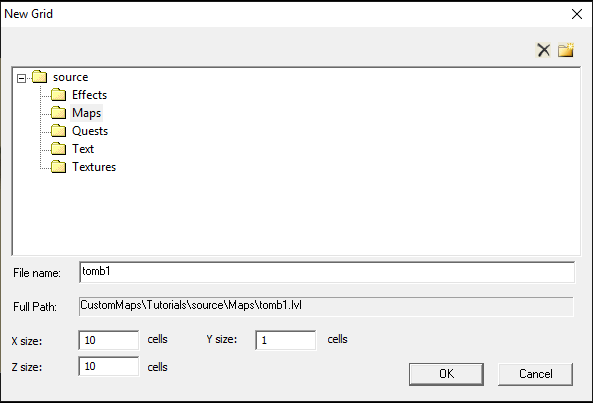 Open the editor and load your worldmap file to begin creating a cave. 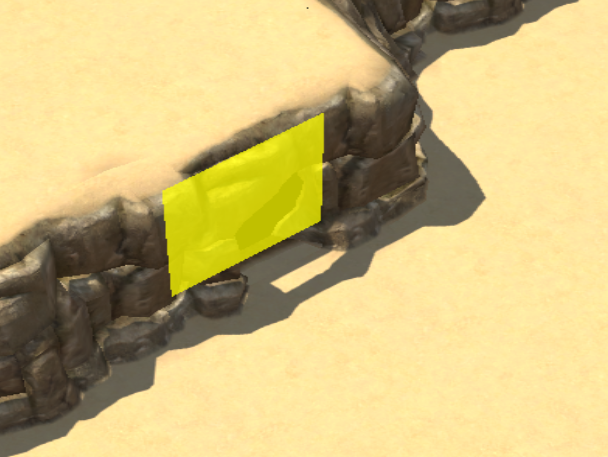 Caves are built with grids. To build a cave, you need to create a new grid. To proceed, be in Layout Mode, and on the upper bar, choose Region > Add New Grid... Here, you can setup the name of your grid, the width and length in cells and the number of height levels. Make sure to save it in 'Maps' folder. When satisfied, press OK. This will generate your grid in your map. Select your grid and press on Jump to Region. You will notice that regular terrain-sculpting tools do not work here, because you have no terrain to work with. Grids are edited differently. To begin setting it up, press on the Grid button. This should open up a menu and make a blue grid appear on the screen. If you are currently editing a regular terrain, there will be no grid, and the menu has no effect. System : Determines the style of your cave. Each file modifies the look of the ground tiles, look of the walls and the feature tiles. 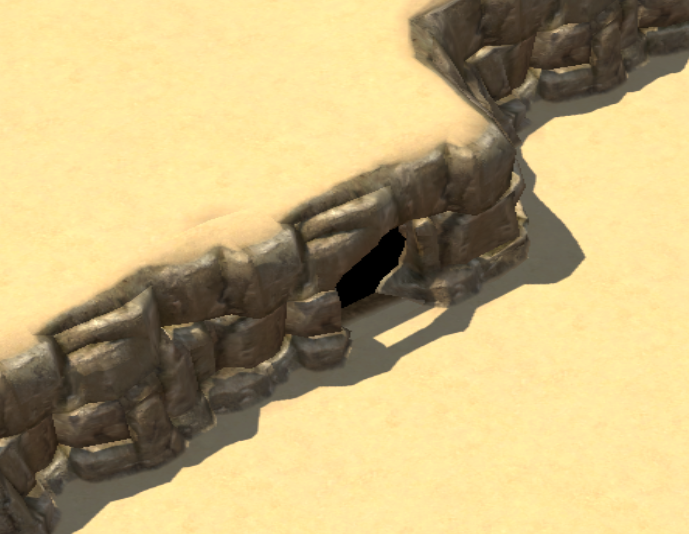 Walls : Select Wall to draw the bounds of your cave. You need ground tiles for them to display. 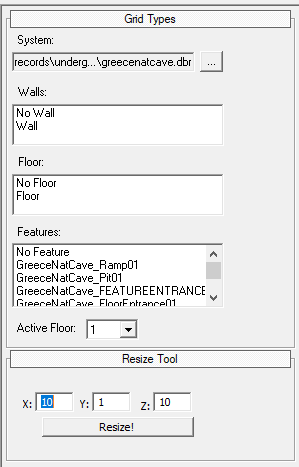 Select No Wall to erase walls. Floor : Select Floor to draw the terrain your player can walk on. Select No Ground to erase tiles you have placed. It will also destroy walls that were placed on the tiles. Self-explanatory. Allows you to resize your whole grid by adding or removing cells in the fitting axis. 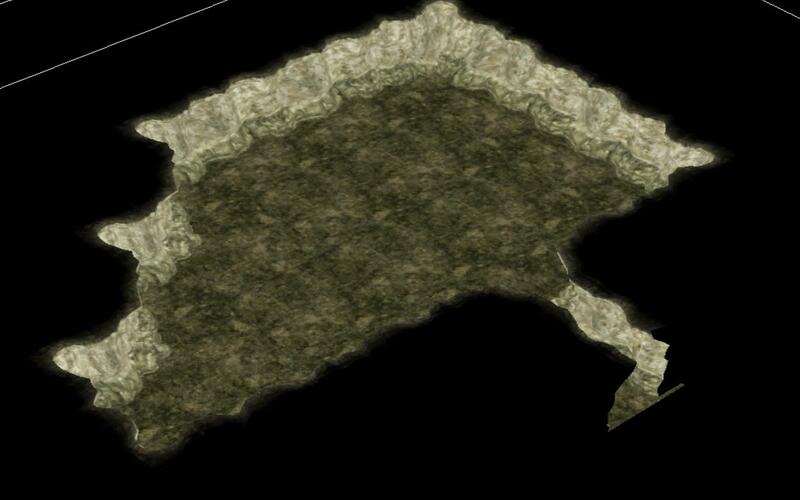 With this, you can draw a very basic cave shape. I drew this using the following grid system. 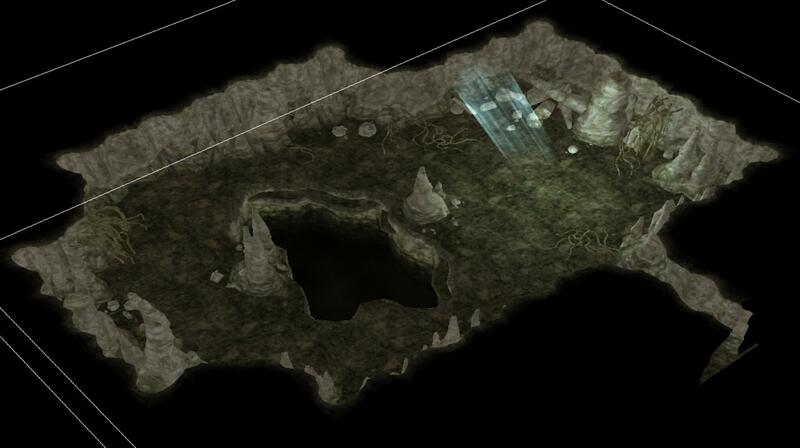 You will inevitably notice how the cave looks anything but sinister. It is way too flashy inside. Let's fix this by visiting the Layer Painting menu. Layer Painting has multiple uses. One of those being creating custom lightning for specific zones. By default, when you open the menu, the Layer type is set to "Fog/Lightning Layer". This is exactly what we want. Press New to create a new layer. Name it if you wish. Below will appear many options to setup your custom lightning/fog. For this tutorial, I simply want to make my cave more dark. To do this, I set the values of Red/Green/Blue of both Sky Ambient Color and Ground Ambient Color to 0.50, using the sliders. 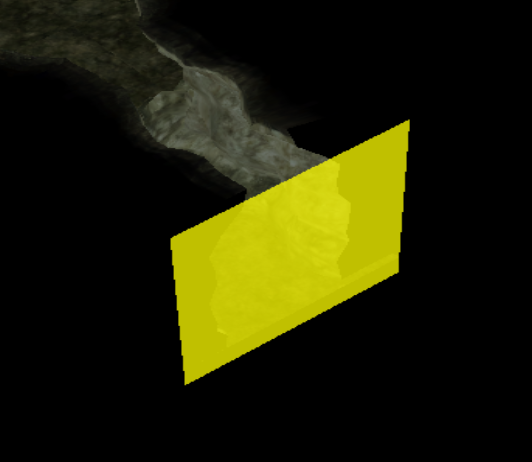 Then, you can use the left-mouse button to paint the zone where you want this layer to be effective. Hold Shift key to remove paint, and press Ctrl key to paint all the current area. This is the expected result. We can also add lights to add more life to our caves. To do this, go to the Entity menu. Lights are stored as objects which can be placed anywhere around the world. Here's where you can find them. Still in the Entity menu, you can find decorations fitting the natural caves in the following directories. I re-edited the base shape of my grid, and added many decorations, and you find yourself with a decent-looking lair. 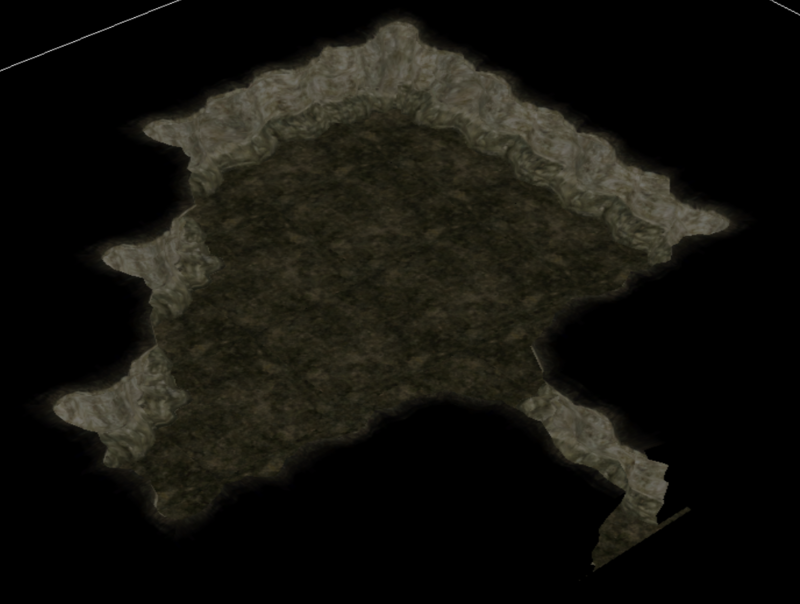 Your cave looks cool and all, but right now it is unaccessible... or if your hero starts inside, it can't exit it, which is fine if your custom map is limited to a single cave, but that's unlikely. So let's link it to the real world. In the Grid menu, place a feature tile that acts like an entrance (often specified in the tile name.) For example : "GreeceDngEntrance_C01_Int". Do not try to simply put a ground tile and put walls around it; you must use a feature tile to allow transition. A gentle reminder to save your hard work. Names of the indicators are self-explanatory. Place them in the editor and the POI icon will appear at this location on your minimap. Time to link your entrances together. Press on the Portal menu. In front of the entrances you placed earlier should appear yellow rectangles. Here, all you have to do is select one of the two [...] buttons and press one of the rectangles. Do the same process for the other one, so both portals are inserted in the fields. Then press "Link". Do it the other way around so the portals work both-ways. If the linking was succesful, the yellow rectangles will turn green. If any of the portals is deleted, the one it was associated with will be red instead.
! !If you receive this error message, here's what to do!! This will disallow you to link portals. To fix this issue, save your work and relaunch the editor, then try again. This issue often apepars when you place entrances and try to link them on the same session.